The Peltor ORA TAC in-ear headset is designed for use with two-way radios, allowing the user to wear other personal protective equipment such as respiratory protection or welding helmets. The headset provides lightweight hearing protection and is ideal for high noise and high heat work, including aviation ground mechanics, mining, and fire and rescue. The device is powered by two AAA batteries located in the adapter. The COM-655 Level Dependent earmuff for impulse noise features close-range communications in select continuous noise environments. The microphones on the outside “listen to” the environment and can amplify weak sounds, and the gain limiter suppresses sounds exceeding 82 dB. The headset will operate for approximately 175 hours on one set of batteries, under normal circumstances. EarPlugz-PC come with a reusable, removable “pop cord” and are available in sizes small through large. With proper care, these plugs can be expected to last six to 12 months. Color choices are orange and black; a metal-detectable option (as required by the food industry) is available. The key design feature of this earplug dispenser is its patented dispensing mechanism, which distributes one plug at a time, every time. Earplugs are placed directly into the user’s hand, eliminating the possibility of contamination. Each dispenser comes with a wall-mount bracket, and an optional tabletop stand is available. Refills are sealed with tamper-evident tape. JETZ reusable earplugs are brightly colored and feature extra-soft material that provides all-day comfort by gently sealing the ear canal without excessive pressure. 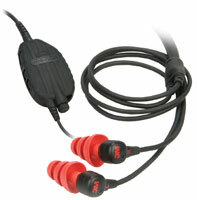 The unique cord attachment with locking loop helps keep the optional braided cloth cord securely in place. The plugs have been independently tested to ANSI S3.19-1974, NRR27. 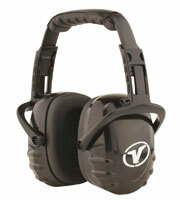 The Veratti earmuff is lightweight with headband padding and soft foam-filled earcups. The earmuff comes with a high noise reduction rating of 26, which reduces noise while still allowing conversation. 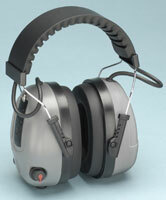 With pivoting earcups and an adjustable headband, the earmuff is collapsible. It comes in a convenient storage box. 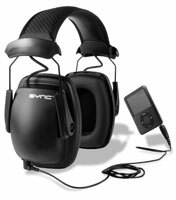 Optimizing acoustical earcup design, Sync stereo earmuffs deliver the proper levels of hearing protection in hazardous noise environments while allowing high-fidelity stereo sound from personal MP3 players. There are no volume knobs or power switches to coordinate or batteries to replace. Ease of use is enhanced by maintaining volume and power control through the MP3 device. Users simply plug in MP3 players and listen. 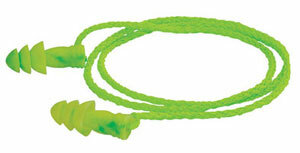 This line of disposable and reusable earplugs has noise reduction ratings ranging from 25 to 31. All styles come in bright colors, making compliance checks easy, and all are available with optional breakaway cords to keep hearing protection close at hand. 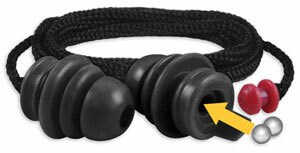 GloPlugz and SoftPlugz are disposable and made of polyurethane, while Twisters are made of silicone for long-term use.